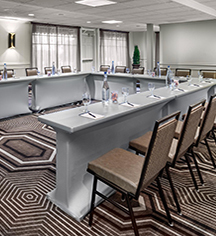 The Partridge Inn is truly a distinctive venue for meetings and small events offering private banquet rooms, courtyards, verandahs, and a rooftop patio with commanding views of downtown Augusta. The Morris Partridge Ballroom is a fantastic selection for a corporate dinner, which was the site of the 1923 Presidential Banquet held for Warren G. Harding. 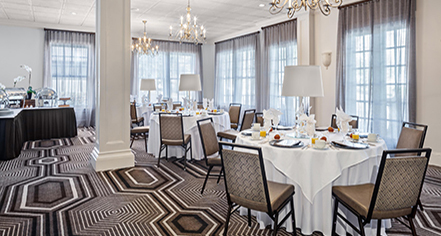 For a more intimate occasion, such as an executive retreat, the Sam Waller Room is the newest addition to the historic, Georgia hotel.